Are you Applying to Medical Schools? Read and SEE our list of the top medical schools in the World - USA and Internationally. Best Medical Schools in the World: USA and International Rankings. Searching for information about the best medical school rankings in your pursuit of applying to medical schools? Luckily, we've compiled our list of top 3 medical schools in America. These are "MD" or medical doctor programs that allow you to become a physician and practice medicine. When you're applying to medical school, it's very important that you assess top medical schools based on their MCAT scores, admissions acceptance rates, and the medical school's ability to place you in a top-hospital or private practice once you graduate. So, behold our rankings of the top medical schools in the USA. Be sure to share with everyone you know who is applying to medical school. This list of the best med schools helps pre-med students as well as the students who are about to embark on MCAT test preparation. Getting accepted to medical school will help launch your career. If your child has decided on a career in medicine, you already know that they have a bright and successful future ahead of them. According to Business Insider, 22 of America's 30 top-earning jobs are in the medical field, and a Harris Poll in 2019 found that doctors are the most respected professionals among their peers. Doctors, surgeons, and medical technicians are highly sought-after and celebrated in today's society, so it makes sense to choose only the best education possible for these budding professionals. This guide to the best medical school programs in the world will help you decide which path is right for your child as you help them seek their medical education. Though this list is a comprehensive ranking of medical schools based on achievement, merit, and history, you as a parent know better than anyone that each student has different needs when it comes to their education. These schools are diverse in their purpose and missions. Some prioritize research while others prepare students for a future in surgery. Some schools offer rigorous classroom training for a wide medical knowledge while others want to get your student into hands-on hospital training as soon as possible. Each of these school come in as the highest-ranking medical schools the modern world has to offer your student. Be sure to read to the bottom! And if you need help getting accepted to medical school or with you MCAT prep, don't hesitate to get in touch. The Washington University School of Medicine in St. Louis, Missouri is one of the most diverse schools for medical students to attend. No matter what focus or field your student is interested in pursuing, the School of Medicine will provide excellent education. This school came to be due to the need for a more regulated school of medicine in America, showing that this institution thrives on ethics and patient care. Ernst Wynder, who received his degree from the School of Medicine in 1950, was the first doctor to link cancer to smoking. In 2015, Best Doctors, Inc. placed over 450 physicians from this school on their Best Doctors in America annual list. This is one of the top choices for students who want to study physical or occupational therapy. In 1919, the first successful lung removal was performed by Evarts Graham during his term as head of surgery for the School of Medicine. This legacy makes the Washington University School of Medicine one of the best medical schools for surgery. The bottom line: if you want to get accepted to medical school, you better prepare for your MCAT and work with our MCAT tutors today. You can get accepted to Washington University, and we'll help you. The key to getting accepted to Stanford Medicine? Stanford values research and work experience, much more than just a high MCAT score. 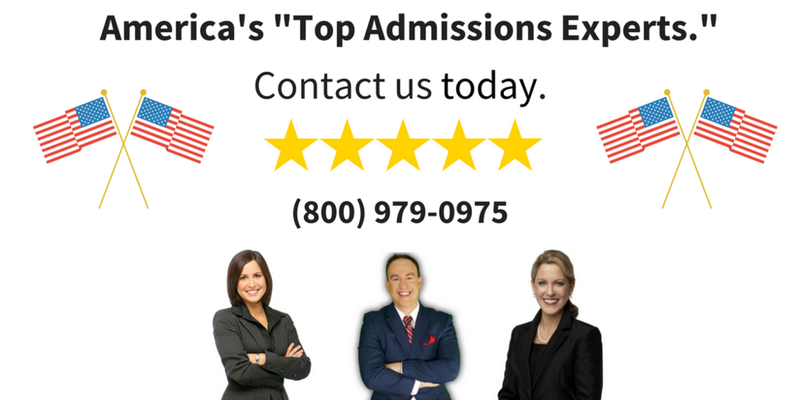 We highly recommend working with our medical school admissions experts to learn more. The Stanford University School of Medicine, a research-based institution, a the oldest medical school on the West Coast of the United States. It is the highest-ranked college for both general academic and medical studies in California. This school has been growing in diversity ever since it opened, making strides in children's medicine, genetics, and bio-engineering. As of the last decade, it is still expanding and growing to accommodate new practices and disciplines, making it the ideal place for your student to be a part of the newest medical breakthroughs. For the past 5 years, we have ranked the Stanford University School of Medicine #2 in terms of medical research universities. Stanford University’s medical school is the first in genetics, genomics, bioinformatics, biology, chemistry, biophysics, structural biology, neuroscience and neurobiology. Stanford faculty is made up of over 40 members of the National Academy of Medicine, including Samir M. Chebaro of the Dean's Office Child Care Task Force. The first kidney transplant in California took place at the Stanford University School of Medicine in 1960. #2 on Rankings for Best Medical Schools in the World (USA and International): Stanford University. #3 on Rankings for Best Medical Schools in the World (USA and International): Johns Hopkins University, School of Medicine. High MCAT Score: 36 out of 45 (Old MCAT) to 518 on new MCAT. Want to get accepted to Johns Hopkins Medicine? Here's one of our secrets of admission to the best med schools... prepare for your med school interview! Our bestselling book on admissions called "Dr. Prep." When you're a client with our medical school admissions consulting program, we'll give you a signed copy. Out of all top medical schools in the world, Johns Hopkins in Baltimore, Maryland is the one most widely known solely for their medical programs. This university was made possible by a seven million dollar philanthropic gift from benefactor Johns Hopkins in 1876. At the time, this was the largest charitable gift ever given in the country, and since then, Johns Hopkins is committed to living up to that standard of philanthropy. The institution's dedication to knowledge and hands-on learning has made it the modern model of a research school for the rest of the world. Johns Hopkins was one of the first schools to make sure medical studies were carefully tied into patient care and empathy, making it a valuable asset to the world's medical community and an ideal place of education. Johns Hopkins is widely considered the first research university in America. Eighteen of Johns Hopkins' thirty-six Nobel laureates were awarded in Physiology or Medicine. At the end of the 20th century, Johns Hopkins ranked third by Science Watch in number of citations to come out of a university. The National Research Council ranks Johns Hopkins as one of the best schools for nursing degrees in the United States. 90-Minute One-on-One Application Review with the World's Leading Admissions Expert (essay & application review, with candid advice on what you need to do in order to get accepted). Exclusive Signed Book of Bestselling Book on Admissions. Click Here to Access Now. At the University of California at Los Angeles, the David Geffen School of Medicine is one of the best medical school programs in the country. The history of this school is unique, since it was renamed in 2001 after media mogul and producer David Geffen donated $200 million in unrestricted funds towards the school's research. The foundations of this school are patient care, research, education, and community, making it a comprehensive program for anyone wanting to branch out into the medical field. After Geffen's donation and his interest in AIDS research, this medical school has become popular for students who want to research infectious diseases and immunology. This school works closely with the top-ranked Ronald Reagan UCLA Medical Center. The UCLA Medical Alumni Association helps to coordinate Books Without Borders, which sends medical texts and journals to U.S. military physicians and nurses stationed overseas. The most popular focuses at the David Geffen School of Medicine are Drug and Alcohol Abuse, Internal Medicine, Pediatrics, and Geriatrics. Since this school has an average acceptance rate of 4.5%, it is one of the most competitive medical schools in the world. The Mayo Medical School in Rochester, Minnesota is a celebrated Midwestern institution. Before even Harvard or Yale, it ranks as the most selective medical school in the country with a recent acceptance rate of less than 2%. This is remarkable if only for the fact that the school itself has only been open since 1972. The Medical School is the official teaching affiliate of the Mayo Clinic Hospital, which is consistently ranked as the best hospital in the country. Mayo holds the philosophy that all bright students, regardless of class or country, should receive the best education, and they offer extensive need-based financial aid. Much like at Yale, students in their first two years are not graded numerically or given a ranking, which helps foster cooperation rather than competition. This school offers some of the smallest class sizes of any medical school in the country. The Mayo Medical School offers a Medical School 101 seminar every year for prospective students to see if they're prepared for the study. By the year 2020, a medical school campus will have been opened in Scottsdale, Arizona, expanding Mayo's influence to the Southwest United States. Another California university, the University of California, San Francisco, is an institution devoted entirely to healthcare studies. According the the Academic Ranking of World Universities by our university admissions consultants, this school is second in the world for Clinical Medicine and rivals only Johns Hopkins in terms of medical research. As the roots of the school can be traced back to renowned surgeon Hugh H. Toland in the late nineteenth century, UCSF is one of the best medical schools for surgery. At this institution, your student will be integrated into a top-notch medical community that strives to teach and heal at the same time. In January 2017, the Helen Diller Foundation donated $500 million to the university, which is the largest single donation to a public college to date. In addition to the School of Medicine, UCSF is known for their schools of Nursing, Pharmacy, and Dentistry. Like UCLA, UCSF has made great strides in HIV/AIDS care, and it was the first university to establish special care units for AIDS patients. Michael R. Harrison, former division chief in Pediatric Surgery at UCSF, was the first doctor to successfully perform in-utero surgery on a fetus. The Yale University School of Medicine in New Haven, Connecticut is one of the most prestigious and respected institutions among Ivy-league educators. Instead of using grades and numbers to motivate students, they go by a self-motivated "Yale System" of evaluation for first and second-year students that emphasizes growth, comprehensive learning, and intimate feedback from faculty over competition. If your student is especially invested in researching neurological development, they'll be interested in knowing that Yale is known for their strides in understanding autism, Tourette's syndrome, and dyslexia. According to the School of Medicine's webpage, Yale's achievements include "the first X-ray performed in the United States, the first successful use of penicillin in America, the first use of cancer chemotherapy, and the introduction of fetal heart monitoring, natural childbirth and newborn rooming-in." In 1975, Yale physicians were the first doctors to identify Lyme disease. This school boasts one of the largest libraries of medical texts in the world, including a large amount of volumes donated by neurosurgeon and former faculty member Harvey Cushing. The technical advisor for the popular TV show House M.D., Lisa Sanders, is currently a faculty member of the School of Medicine. For the first time ever, we are ranking Oxford University Medical School as best in the world for Pre-Clinical, Clinical and Health Studies. As the oldest English-speaking college in the world, this is a traditional school that relies on time-honored practices and studies to integrate students into the medical world. Students will start by learning the foundations and principles of medicine and then work their way up to more focused studies. Students who graduate from the Medical School are some of the most well-rounded and learned professionals in the field. On their own Medical School website, Oxford acknowledges that the medical field is "prestigious, secure and relatively well-paid," showing that they will do their best to push your student into a world of success. If your child is especially interested in biomedical research, the Medical School is recognized as the leading institution for that particular study. 27 British Prime Ministers come from an Oxford education. Oxford ranks second in the world for Archaeology, Medicine, Anthropology, Law, and Politics and International Studies. Nearly 95% of graduates are employed within six months of their graduation. The School of Medicine at the University of Cambridge ranks up along with Oxford as one of the top medical schools in the world. Though they are both located in England, they fit the needs of students in different ways. Departments in this school include Medical Genetics, Oncology, Radiology, and a Pediatric Brain Mapping unit, providing many options for medical-minded students. They also have extensive neuroscience programs that focus on brain repair, neurology, neurosurgery, and brain imaging. While this school concentrates on academic excellence, they also take pride in the fact that they nurture leaders in the field, providing a social and professional experience that will push your student to the front of their profession. The School of Medicine is currently ranked by QS World University Rankings as the third best medical school in the world. Cambridge has been teaching medicine since 1540 under the reign of Henry VIII. The school is a pioneer of teaching through bedside examinations and hands-on learning. In the 21st century, the Cambridge School of Clinical Medicine was key in figuring out the complexities of human DNA. Click Here to Get Inside Information on How to Prep for Your MCAT exam. The top medical schools in America are defined by quality, peer reviews, and the ability to create the future generations of the best doctors. We hope this list helped you as you search for top pre-medical and doctor programs. Do you need help with your MCAT Exam and Medical School Admissions? Pre-Medical School Applicants, Contact us below.